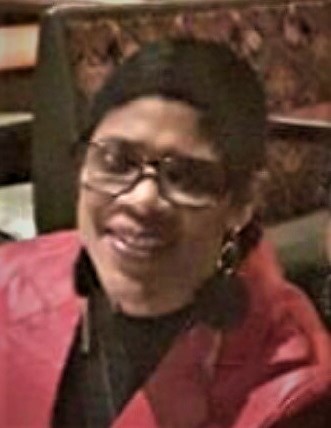 Obituary for Juanita Yvette Norton | House of Wheat Funeral Home, Inc.
NORTON, Juanita Yvette, age 57, was born March 14, 1961 in Dayton, Ohio to the union of John R. and Ella M. Terrell. Juanita attended both Wogaman and Jackson Elementary Schools and graduated from Trotwood Madison High School, class of 1979. She attended the Practical Nursing School of Dayton and enjoyed working with both children and the elderly. She volunteered as an activity assistant at Wesley Community Center. Juanita was a member of Corinthian Baptist Church. She loved Christian music and supported the many activities of the church. She was employed by the Dayton Daily News and Children’s Medical Center. Juanita was called home to be with the Lord on December 1, 2018 at Hospice of Dayton. She was preceded in death by her paternal grandparents, John and Sally Terrell; maternal grandparents, Claude and Lucille Mitchell; stepfather, Benjamin Mitchell. Juanita leaves to cherish her memory and celebrate her life, devoted daughter, Ashley Norton; devoted son, Jason (Romanette) Norton; grandson, Gabriel Jeremiah Young, Jr.; granddaughter, Markasia Renee Jackson (whom she loved with all her heart); father, John R. Terrell; loving and caring mother, Reverend Dr. Ella Mitchell; two brothers, John R. Terrell, III and Michael Terrell; one sister, Benita McCullar, all of Dayton, OH; three stepsisters, Nadine (Bruce) Dorsey of Cincinnati, OH, Elaine (Zephaniah) Mitchell and Leona (William) Harris; stepbrother, Bennie (Linda) Mitchell, III, all of Dayton, OH; a host of nieces, nephews, cousins, aunts, uncles and friends.